Create your own Lexmark X463 mono toner pack / bundle with our flexible quantity discount pricing. Mix and match products so you are only purchasing what you need, but also maximizing your savings. Compatible Black Toner Cartridge with 9,000 high capacity page yield. 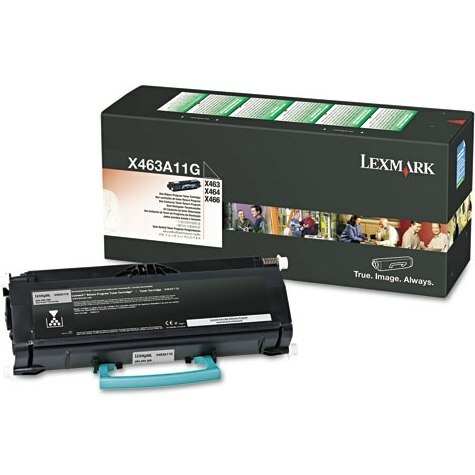 Equivalent to Lexmark part number(s): X463H11G, X463H21G. 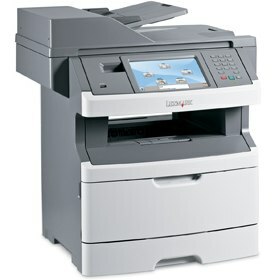 Fits the following model(s): Lexmark X463, Lexmark X463de. Compatible Black Toner Cartridge with 15,000 extra high capacity page yield. Equivalent to Lexmark part number(s): X463X11G, X463X21G. Fits the following model(s): Lexmark X463, Lexmark X463de. 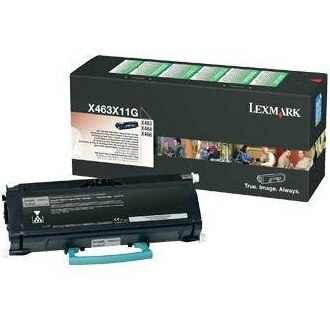 Buy our high quality compatible toner for Lexmark X463 with confidence. Join thousands of happy customers who have found our compatible products are equivalent in page yield and print quality. For our compatible products, we offer a 100% Satisfaction Guarantee allowing you to return products within 6 months if you are unsatisfied. The Lexmark X463 is the less-expensive, bare bones model in its series of laser printers, with the additional X463DE model providing increased functionality like duplex printing, copying and scanning capabilities. However, the multipurpose base model has its benefits, among them being its quick speeds of up to 40 pages per minute for monochrome projects. Combining some of the quickest rates in its class, long-lasting replacement toners and flexible features like upgradeable media handling, the X463 is a good fit for busy workgroups. One of the unit's standout features is its user-friendly control, incorporating a large customizable color touchscreen that takes up most of the front panel and provides quick access to menu applications. Users are also provided with dedicated buttons for scan and copy features, with the option to enlarge and reduce the size of duplicates from the original document's layout. As with most standard multifunction printers, the device comes with a 50-sheet automatic document feeder that can handle large scan jobs. The unit can support a maximum document size of 8.5x14 inches and is able to handle a standard media capacity of 300 pages. Users have the option of purchasing additional paper trays to expand the maximum capacity to up to 850 pages to support workflow increases. Connectivity is limited for the X463, including only USB ports for direct PC printing. Printing output is satisfactory enough to support standard business documents, with maximum resolutions of 1200x1200 dpi using black Lexmark X463 printer toner. Duplicates have a decent output that does the original justice with a maximum resolution of 600x600 dpi. The unit uses a single black Lexmark X463 toner cartridge that can be replaced with a standard 3,500-sheet supply. Users can also choose between a 9,000-sheet high-capacity replacement and the extra high-capacity Lexmark X463 toner cartridge that can last up to 15,000 pages and help support large-volume workgroups. The X463 may be the most simplistic model in its series, but its range of control features, fast speeds and upgradable capabilities make it one of the most attractive options in its class of multifunction printers. For an affordable solution to workgroups with expanding productivity, this multipurpose device is among the best.